Pvt. 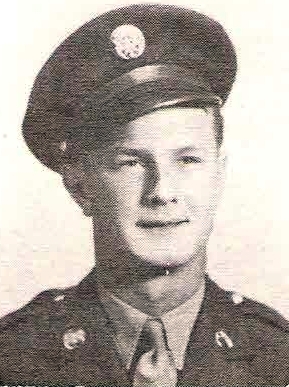 Billy Clarene Ray, son of Mr. and Mrs. Clarence Ray, Graham, husband of Mary Ruth Lundy. Entered Army, 1943, trained at Camp Wolters. Served in England, France and Normandy. Awarded ETO, 2 Bronze Stars, Purple Heart and GC Ribbon. Wounded in France, 1944. Discharged in 1945.